Brand new Vanilla gel bursting with natural flavor. 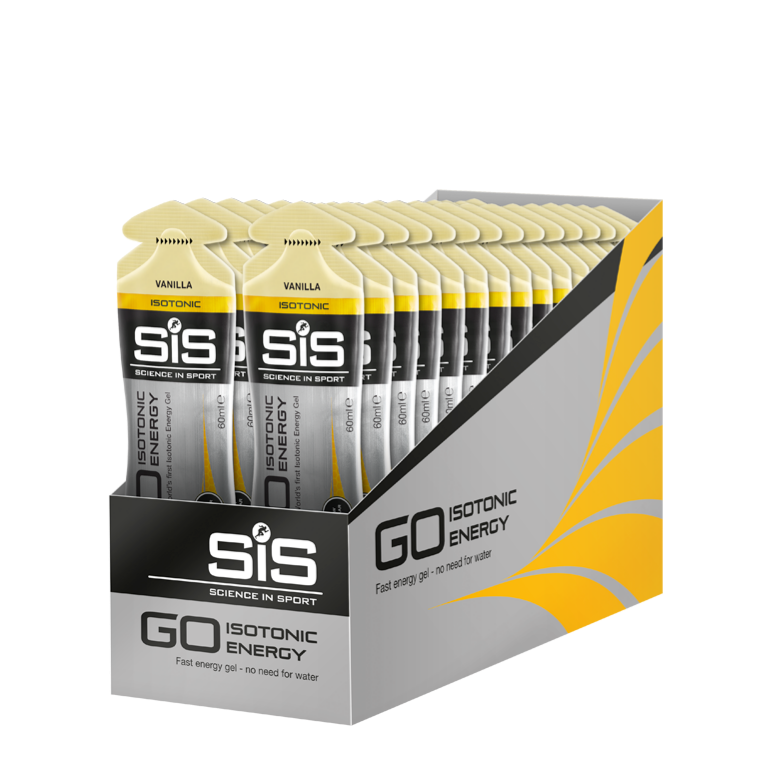 GO Isotonic Energy gels provide a fast energy boost with no need for water, in easy to open packaging. Vanilla flavored isotonic energy gel for fast, easily digested energy - 30 pack. 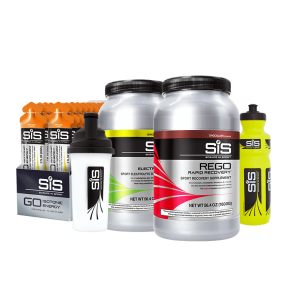 The GO Isotonic Energy Gel was the world's first isotonic gel effectively delivering an easily digestible and quick supply of carbohydrates for energy during exercise. Provides you with 22 grams of carbohydrates per gel. Depleting your carbohydrate stores during exercise is one of the major causes of fatigue. Delivering additional carbohydrates during exercise is known to improve performance, race times and delay the onset of fatigue. Winner of the Queen's award for enterprise, this innovative product continues to be seen at the forefront by endurance athletes. Use during endurance sessions and events to help avoid crashing. Flavored Maltodextrin gel with added sweetener. Consume 1-3 gels per hour during endurance exercise to maximize carbohydrate utilization rates. Alternatively, take one halfway through repeated high intensity exercise (such as football or rugby) to rapidly replenish glycogen stores. When should I have these versus Electrolyte or Caffeine? GO Isotonic gels contain natural flavorings. Good flavor ordered more to try awesome products take with me alway while riding. This is my favorite flavor!